In keeping with our mission to provide the best and most-innovative products in Maintenance-Free fencing, AOFR is an authorized distributor of D & D Technologies Hardware. 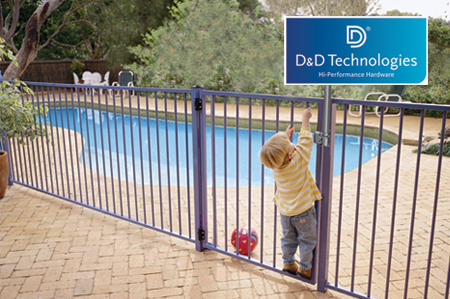 The Leader in their industry, D & D Technologies is dedicated to the design and manufacture of top-quality, state-of-the-art gate hardware. They work hard with the fencing and locksmith industries, as well as many safety and community organizations, such as the National Drowning Preventive Alliance to which they are a member.